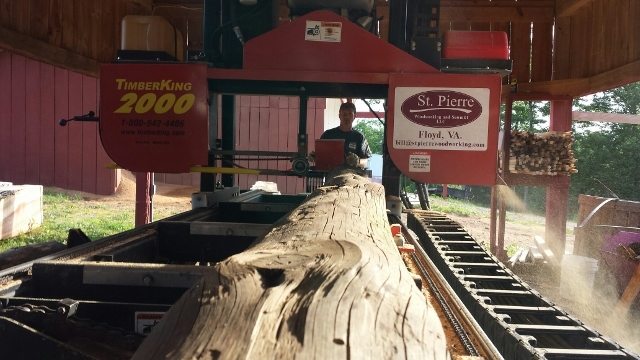 The Timberking 2000 sawmill is our primary sawmill here at St. Pierre Woodworking and Sawmill. 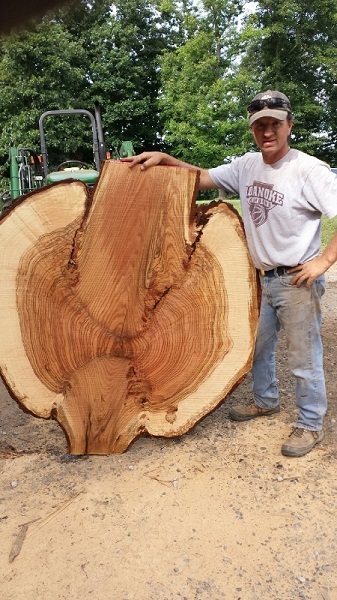 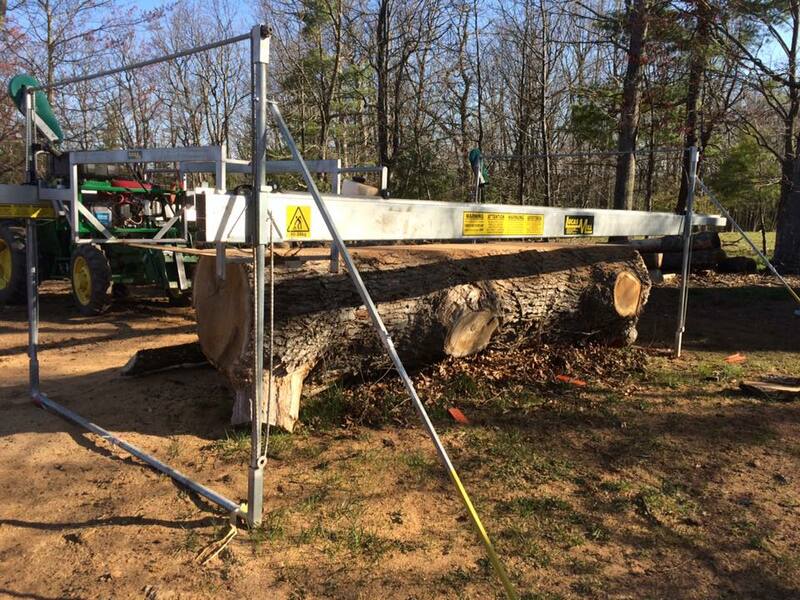 We can cut logs up to thirty inches in diameter on this sawmill before we have to move to the Lucas Mill. 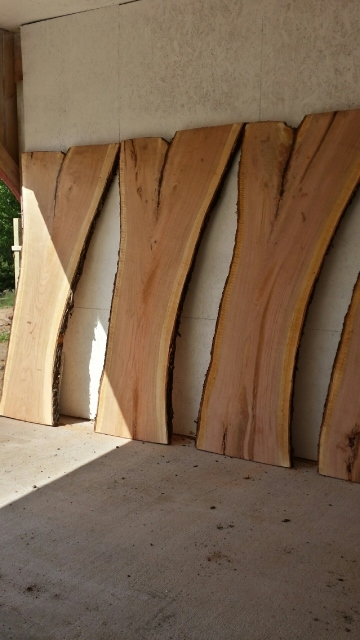 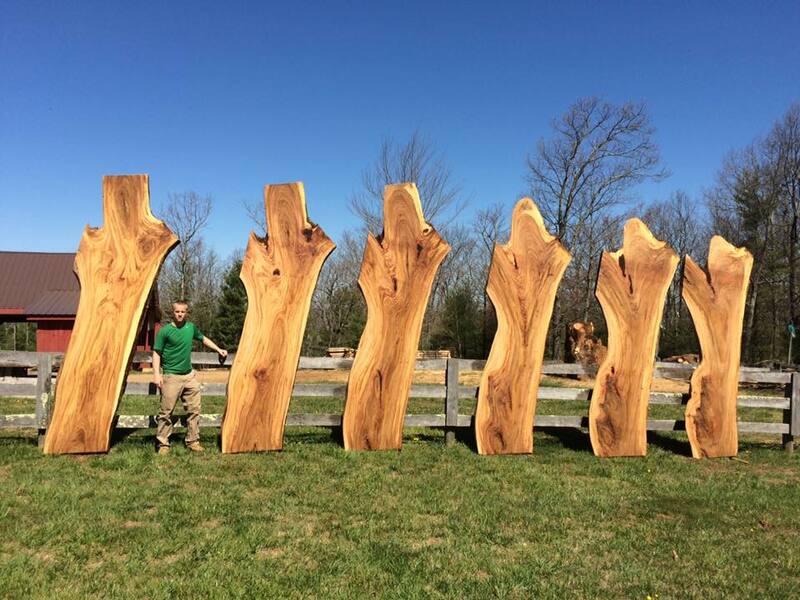 We use the Timberking to cut all reclaimed wood and beams into products such as flooring or straight edged mantles. 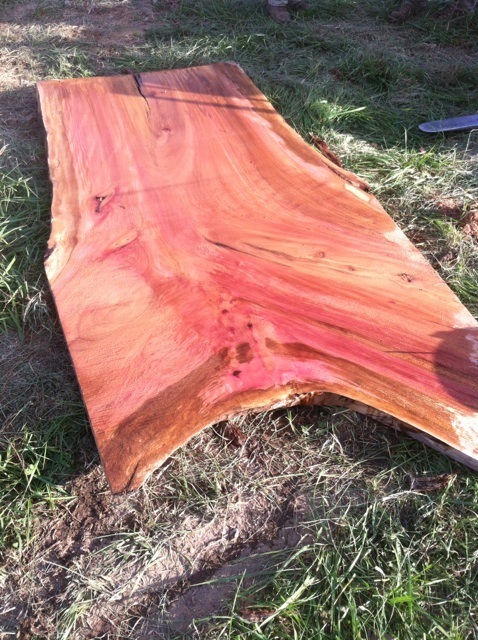 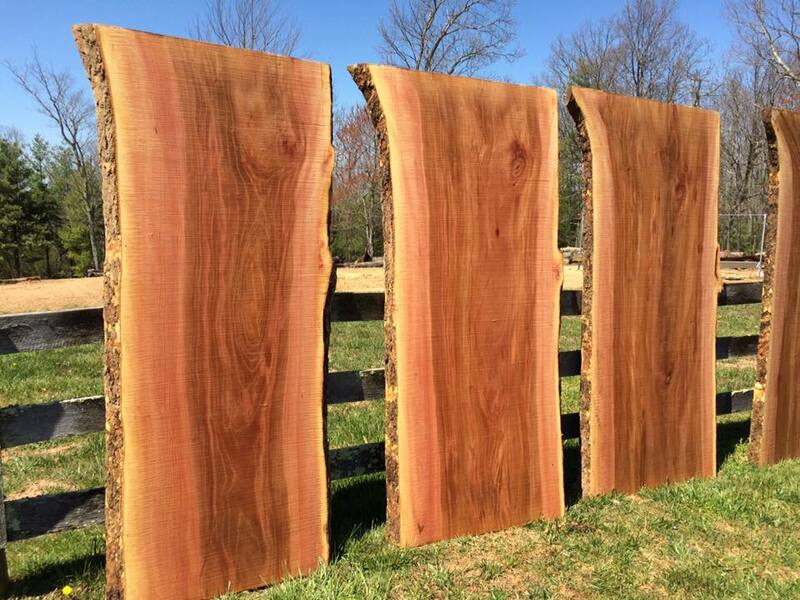 We cut slabs, lumber, beams, and many other types of wood. 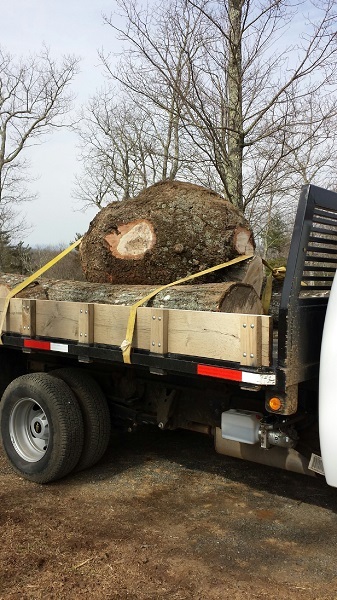 The Timberking is portable but we do not saw at other locations. 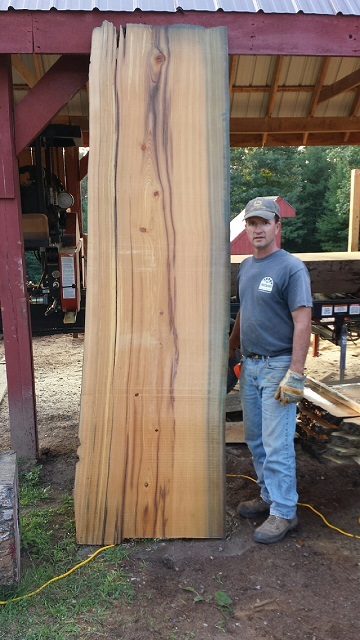 The Lucas Mill slabber is the sawmill we use if the log is over 30 inches in diameter. 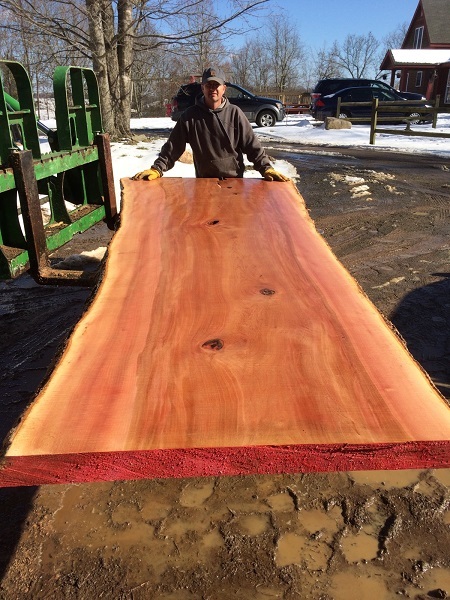 The slabbing mill has a large bar similar to that on a chainsaw and a skip chain and can cut logs up to 50 inches in diameter. 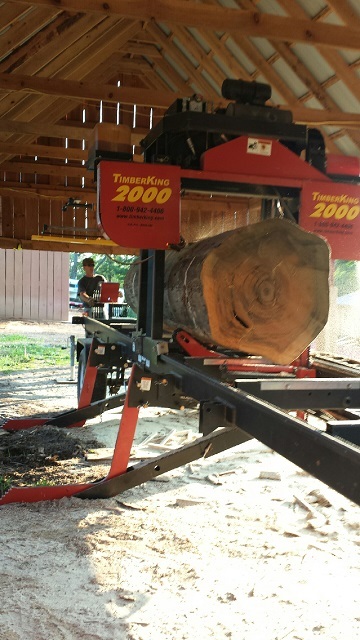 Check out the pictures below to see the mill in action.